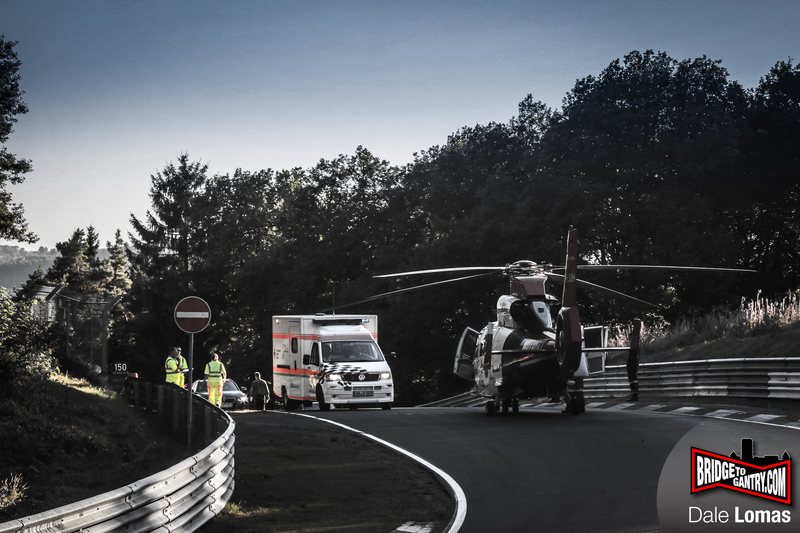 Last night’s Nürburgring Nordschleife touristenfahrten session came to an abrupt end when three motorcycles and a car crashed at Hohe Acht. One 66-year-old rider was very seriously injured, and flown to Koblenz, where he remains in a serious condition today. Two other Norwegian bikers were injured, and the car driver remained unhurt. Total damage is being estimated at €45,000 euros. Previous PostThis is the new BMW M4 GT4 testing on the NordschleifeNext PostVIDEO: VLN6, very M3, much dogfight, such sadness.